What is the Miracle Home Program? Participating RE/MAX agents, like Doris, voluntarily pledge a portion of their commission income from every home they sell to a local Children’s Miracle Network hospital. You will know the agent supports this cause, by the sign rider displayed on the yard sign. 1 in 4 of Canadian children will visit a children’s hospital each year. Doris believes by supporting these hospitals she can help sick and injured children get better! By believing in miracles; one patient at a time; one yard sign at a time…making a difference is what really matters. 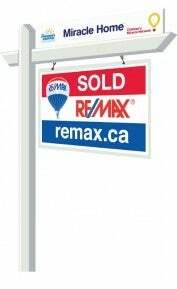 RE/MAX Western Canada has been the largest contributing region in the entire RE/MAX organization for 7 years in a row! Contributing 1.75 million in 2013, and since RE/MAX began it’s affiliation with the Children’s Miracle Network in 1992 the Canadian affiliates have raised over 52 million and over 125 million across North America!